Paramount Pictures proudly presents a brand new 4K digital restoration of one of the most beloved films of all time: It's a Wonderful Life. Starring James Stewart, Donna Reed, Lionel Barrymore, Thomas Mitchell and Henry Travers, director Frank Capra's heartwarming classic has made an indelible impact on popular culture and continues to be a cherished part of many families' holiday traditions. It's A Wonderful Life in 4K with High Dynamic Range delivers amazing clarity with sharper and brighter images for a sensational home viewing experience. The studio spent over a year painstakingly restoring this treasured film, using the original nitrate negative along with two fine grain masters made in the 1940s. Each element was carefully scanned using the very latest technology to both preserve the delicate negative and create the best possible digital image. Fortunately, 13 of the 14 reels of the original negative survived, but portions had begun to deteriorate so the best image was selected from one of the three original sources on a shot-by-shot basis. The result is a more vibrant and detail-rich picture than has ever been available before. It's A Wonderful Life will arrive on Digital 4K Ultra High Definition November 20, 2018. The perfect film to enjoy over the holidays, the release will also include new interviews with contemporary filmmakers and restoration experts about the movie's extraordinary sound, music, cinematography and visual effects, as well as the meticulous process of preserving and revitalizing this iconic masterpiece. In It's A Wonderful Life, after George Bailey (Jimmy Stewart) wishes he had never been born, an angel (Henry Travers) is sent to earth to make George's wish www.mmdst.come true. George starts to realize how many lives he has changed and impacted, and how they would be different if he was never there. 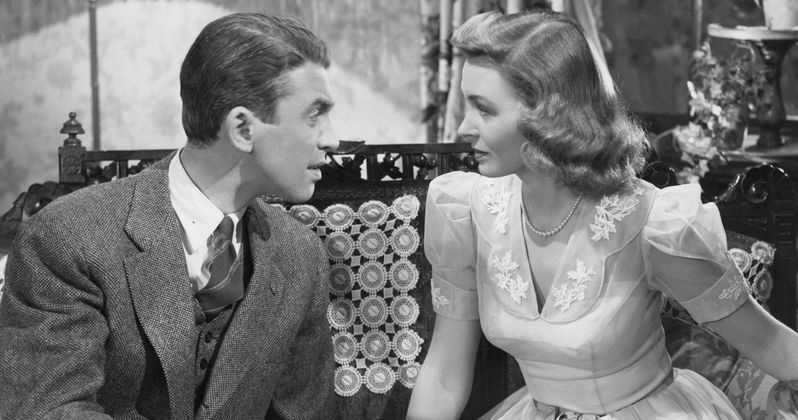 It's a Wonderful Life Sequel Is Finally Happening!